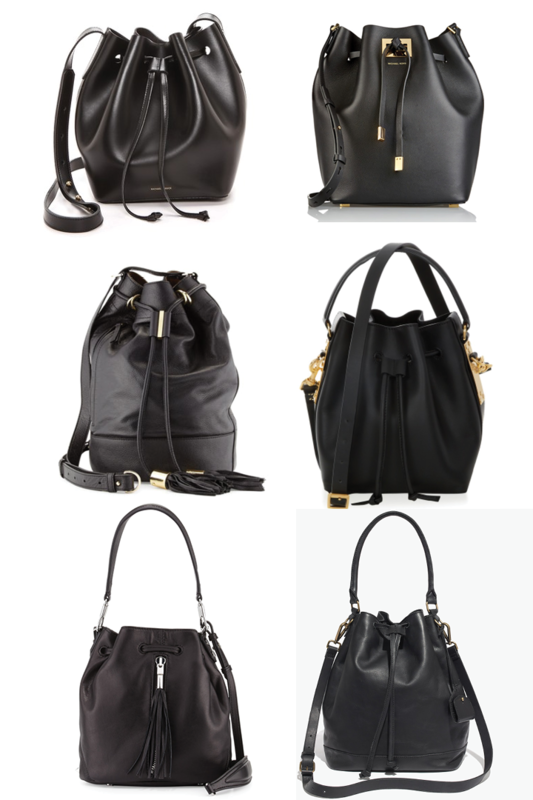 I've never gravitated towards bucket bags. Until Mansur Gavriel came about I never considered owning one, but they are now on my bucket list... HA. Since it seems nearly impossible to get a Mansur Gavriel bucket bag I've picked a few of my recent favorites. I'm especially found of this Sophie Hulme Small Drawstring Leather Crossbody Bag. It is simple, but also a little funky thanks to the gold details. What is your current must-have bag?